The inFAMOUS Official Mini-Game Launches Exclusively to SPIL Games’ Portals Experience Fierce Action in Official Mini-Game of Upcoming PLAYSTATION®3- May 22, 2009 Sony Computer Entertainment Europe and SPIL GAMES, the world’s ultimate online game destination, today announced that the official mini-game for the upcoming title, inFAMOUS, will debut exclusively on SPIL GAMES online casual game portals from May 22-29. Playable directly in the browser window on both PC and Mac computers, the mini-game will showcase the action-adventure gameplay style featured in the hotly anticipated inFAMOUS PLAYSTATION®3 game expected to launch in Europe in late May 2009. In the inFAMOUS mini-game developed by Kerb, players get to extend their inFAMOUS experience through playing this free platform based 2D version of the PS3 title. The plot of the mini-game is based around the game’s main character, Cole, navigating his way to a power generator located on the roof of an abandoned precinct house in Empire City. Players have to battle their way through gangs of iconic villains whilst solving puzzles using Cole’s agility and electrical super powers. In addition to achieving the games ultimate goal, player’s actions are constantly being monitored, providing real-time updates of how in-game decisions affect their morality. 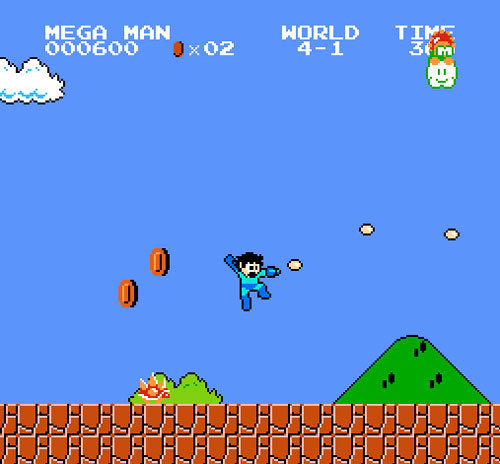 The style in which players complete the game dictates the final scenes of the game, as well as letting players compare their own morality against players from around the EU. Gamasutra has posted an interview with the developer of the über-awesome Flash-made platformer, Scarygirl. Scarygirl is considerably more diverse and accomplished than most other Flash games. Did you push the engine harder than normal to achieve the results? There was a lot of learning how far we could push the engine while we were creating this game, but there’s also a modest system requirement to play the game. I think when we make a new game we can get Flash to do even more for us, especially with the new release. With something like Scarygirl, the actual mechanics could be said to take a backseat to the visuals. Do you have to make concessions for the art, or was it a mutually beneficial relationship? We made concessions to the art in as much as we had to make the game work with his art style. There were a few complaints from players that they had trouble knowing what they could and could not land/walk on, which we knew would be a problem from the start, but we didn’t want to force Nathan to change his artwork, for example adding thick black lines on walkable areas which could be one solution. But mostly it was working out ways to get Flash to display his artwork at decent framerates. The game works in Flash, inside the web browser. How versatile did you find Flash to be as a program? Were there any noticeable limitations? Limitations. Yeah, there were a few. It’s really annoying that you can’t get it to go into fullscreen mode and still use the keyboard (some kind of security reason, I think). Other than that I really think it’s a case of Flash being really good for what it is. As long as you know its limits you’ll be happy with what you can produce with it. You can push it if you know what you’re doing but you wouldn’t want to make a 3D extravaganza in Flash, pick the right tool for the job. Check out the full interview at Gamasutra. The free-to-play world of Wizard 101 is getting a new world. Online entertainment company KingsIsle Entertainment, Inc. today officially revealed plans for Grizzleheim, a new 3D world to be added to the popular virtual world Wizard101 (www.wizard101.com). The often silly characters and worlds of Wizard101 are influenced by literature; history and pop culture that give the game a depth and quality appreciated by adults, and make it enjoyable for families to play together. Safety features aimed at pre-teen players include a collaborative play style, a chat system with many options and a character name selector. Inspired by Norse mythology, Grizzleheim is an airy, outdoor landscape of snowy mountains, glacial ridges and towering trees that is home to three new Wizard101 tribes – Bears, Wolves and Ravens. Players will first encounter the Viking Bears of Grizzleheim, great traders with the ability to travel the worlds of the Spiral, in the free-to-play areas of WizardCity. As student wizards adventure through subseq uent worlds, Grizzleheim will offer new quests, new locations to explore, new opponents and new Viking-themed decorative housing items interspersed throughout the mid and higher levels of the game. Grizzleheim is expected to roll out beginning in June. As with other new content, the world will launch first on the Wizard101 test server, where subscribers will help beta test features before it goes live in the game. Wizard101 has an ESRB rating of E10+. Pre-paid gift cards are available at major U.S. retailers.